Space for experiments and special adventures: We are very happy to bring together two internationally acclaimed musicians from two different spheres to meet on stage for the first time ever. In an evening with two parts and two premieres, acoustic instruments encounter live electronics, and experimental music can be experienced in an interplay with exclusive visuals. The British composer and pianist Tom Hodge, who has been a guest at UM:LAUT for two times already with Piano Interrupted, has been collaborating with the successful electronic music producer Max Cooper since 2013. On the two-parts EP „Fragmented Self“, the two musicians create a sound alternating between organic warmth and electronic precision, between melancholy and deconstruction. In Berlin, Tom and Max realise their collaboration for the first time ever in a live form and present an improvised interpretation of „Fragmented Self“ as well as new tracks in between modern classical, ambient, glitch, minimal, and techno. In the second part of the evening, UM:LAUT presents the German premiere of Max Cooper’s audio-visual performance „Emergence“: an extraordinary solo show with live electronics and live visuals, in which the renowned producer and biologist with a doctor’s degree combines his musical and graphical but also his experimental and scientific interests in one artistic concept. „Emergence“ had its very successful debut at the Decibel Experimental Music Festival in Seattle and can be experienced live in the frame of an exclusive tour in London, Paris and Amsterdam – and in the series of UM:LAUT at Radialsystem on 6 March! Tickets available now at Radialsystem, Koka36 and online! Soul, jazz and electronic music as well as classical and minimal music are equal sources of inspiration for Tom Hodge. His musical versatility and curiosity make the Briton a composer much sought-after for film, dance and theatre productions. Amongst others, Hodge composed the music for the production „Waiting Room“ of the Thüringer Staatsballett and the choreographer Silvana Schröder. Beyond, the pianist has become known for his musical projects with which he congenially crosses borders. With Piano Interrupted, he explores the field between classical minimalism and club-oriented electronica. The duo has been on the stage of UM:LAUT already twice and published two albums on Denovali Records. With his interpretation of Daft Punk’s „Aerodynamic“ for strings and electronics, Hodge even contributed a hit to the legendary „Ministry of Sound Compilation“ in 2009. Together with Max Cooper, he already published the EPs „Fragmented Self I & II“ on Fields. Besides the first live realisation of their collaboration, they are also planning another EP for spring 2015. 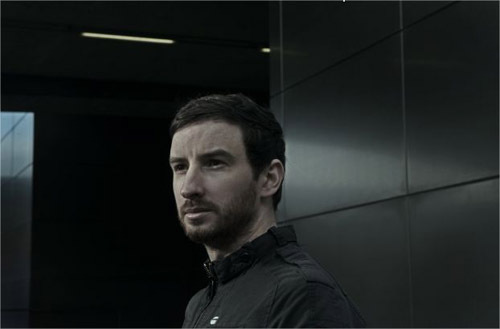 The London-based producer Max Cooper is considered one of the major talents originating from the electronic scene in the course of the last years. His distinctive musical style is connected to both a long tradition of pioneers and the ambition to explore new territory with each new release. 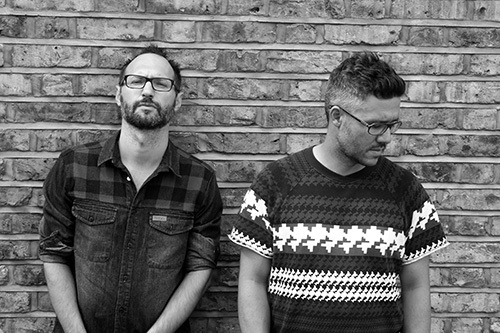 Cooper was born in Belfast in 1980 and has already been active as a DJ and producer since 1999. Simultaneous to his first release in 2007, he finished his dissertation in the field of genetics and evolution. After a few years in genetic research he opted for music as his main profession and has become an artist fascinating with the balancing act between the complexity and clinical precision as well as between the immediate catchiness and emotionality of his productions. Besides numerous releases on various labels and his album „Human“, which appeared in 2014 and was critically acclaimed by journalists and audiences alike, he is known for his collaborations with a wide range of artists such as Portishead, Hot Chip, Michael Nyman, Ólafur Arnalds, or Nils Frahm. As live act, Cooper is a guest worldwide in clubs and at renowned festivals like Mutek, the Igloofest in Montreal or the Awakenings Festival in Holland. Also known as a video artist and celebrated internationally for his audio-visual shows, his current live project „Emergence“ had its premiere at the Decibel Experimental Music Festival in Seattle in September 2014 and can be experienced live at UM:LAUT for the first time in Germany. About one year after our first UM:LAUT adventure, we are happy to celebrate with you and welcome two exciting acts at Radialsystem to present their work for the first time in Berlin. Originally educated as a jazz drummer, Sven Kacirek has dedicated himself to the acoustic realisation of programmed drum’n’bass grooves, invented new drum concepts and integrated effects and loop stations into conventional drumming. In the pieces of the Hamburg-based composer and multi-instrumentalist, classic drumming can almost not be heard any more, as his drum kit has been replaced with tons of tiny things made out of paper, wood or glass to knock on, to hit or to scratch. His sound consists of more than just fancy beats: All the elements in a piece down to the melody are casually constructed from small percussive patterns which he arranges in layers. Although he does not use any synthesizers, the result sometimes appears so electronic that one might invent the somewhat self-contradictory label „acoustic electronica“ for Sven Kacirek. Many of his ideas develop from live concerts, where he multiplies himself with samplers, calmly improvising and generating very elaborate structures. Apart from his career as solo musician, Sven works as composer for film, dance and ballet and has collaborated with directors and choreographers such as Dario Aguirre, Angela Guerreiro and Johnny Lloyd. For his record „The Kenya Sessions“ which he recorded with Kenyan musicians, he received the „The German Record Critics‘ Award“ in 2011. 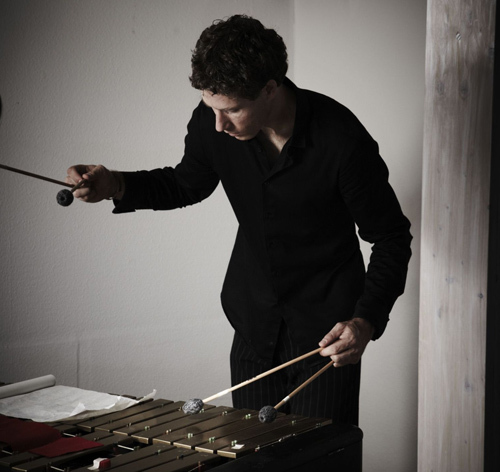 With „Scarlet Pitch Dreams“, Sven Kacirek released his new album in April, thereby fusing his characteristic elements of marimbas and calimbas with timbals, cymbals and prepared piano into a unique mosaic. After playing numerous concerts with artists such as Hauschka, Jan Plewka or Jan Dvorak in Hamburg and New York, one of Germany’s most unique percussionists can now finally be experienced live in Berlin. 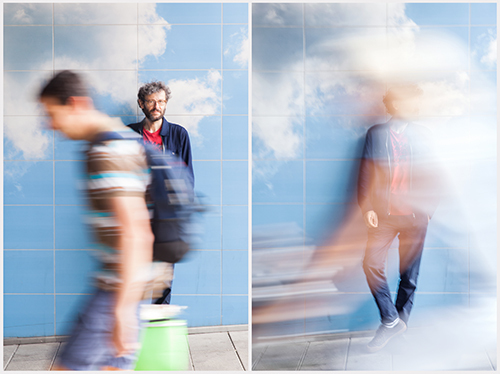 Piano Interrupted is the common project of the pianist Tom Hodge and the electronic musician Franz Kirmann. 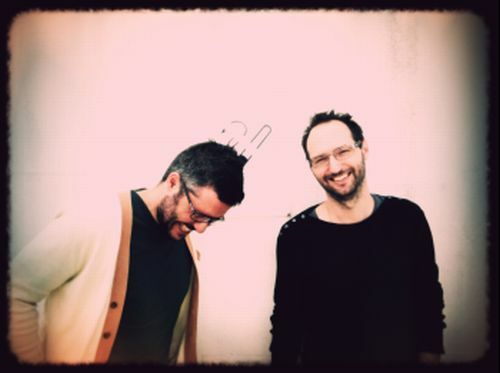 Equipped with computer and piano, the duo explores the range between classical minimalism and club-oriented electronica. Whereas Hodge’s piano playing is inspired by classical music and jazz, Kirmann has a passion for digitial deconstruction and deep dubstep tunes. The project was initiated by the English musician and film composer Hodge, who contributed a hit to the legendary „Ministry of Sound Compilation“ with his interpretation of Daft Punk’s „Aerodynamic“ for strings and electronics in 2009. 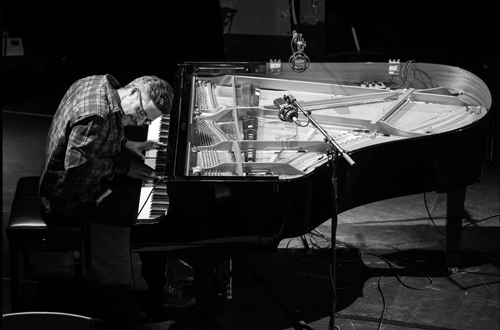 By sampling the warm piano sounds live and completing them with characteristic glitches, clicks and sub-bass sounds, Franz Kirmann brings a major contribution to the sound of Piano Interrupted in that it constantly changes between organic warmth and electronic precision – in their live sets, this results in a unique fusion of analogue and digital improvisation. On Lobe Records and Photogram Recordings, Piano Interrupted already released two EPs praised by the press. The musicians have just recently completed their work on the film score „Papa Hédi“ and will release their first album „Two By Four“ – which was mastered by Nils Frahm – in the beginning of December. For their German premiere in the series of UM:LAUT Tom Hodge and Franz Kirmann will be accompanied by Greg Hall on cello and Eric Young on percussion. Get your tickets now for this special double bill on 2 December at Radialsystem!